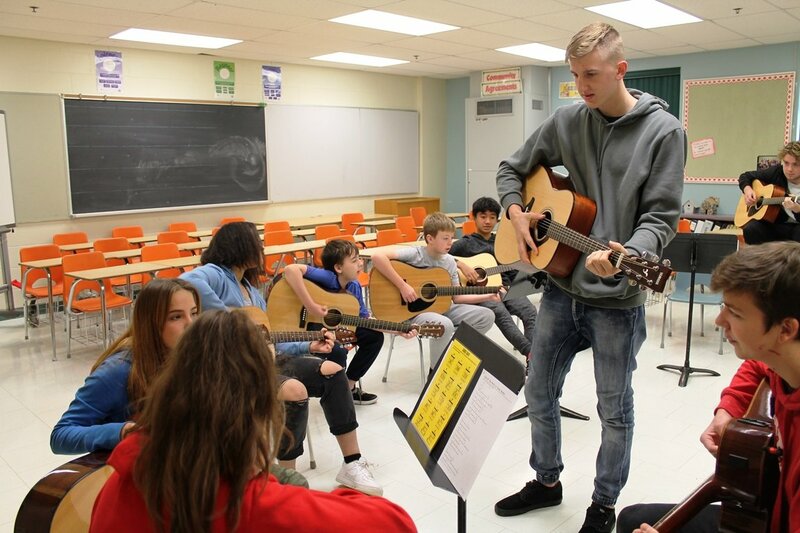 GUELPH, Ontario – Music students and staff at Guelph Collegiate Vocational Institute have begun a music mentorship program for intermediate students at their partner schools. 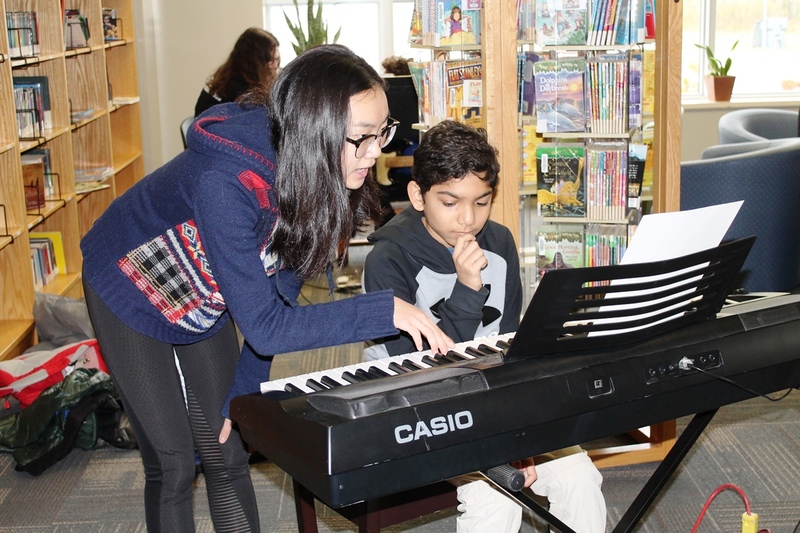 On November 7, Guelph CVI music students and staff visited Willow Road PS, Westwood PS and Mitchell Woods PS on the first day of the mentorship program. 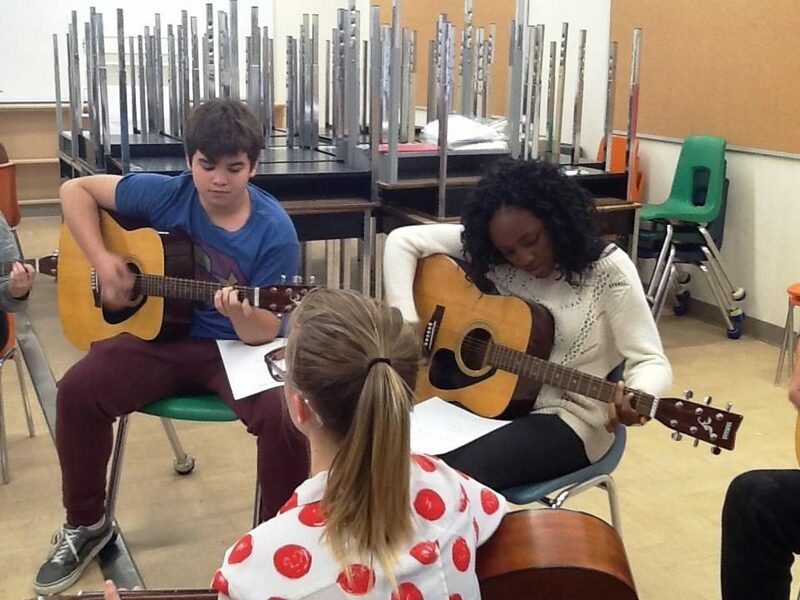 GCVI students with their elementary mentees broke off into smaller groups to begin learning a song. Groups were made of vocalists, brass, percussion, guitar and more. 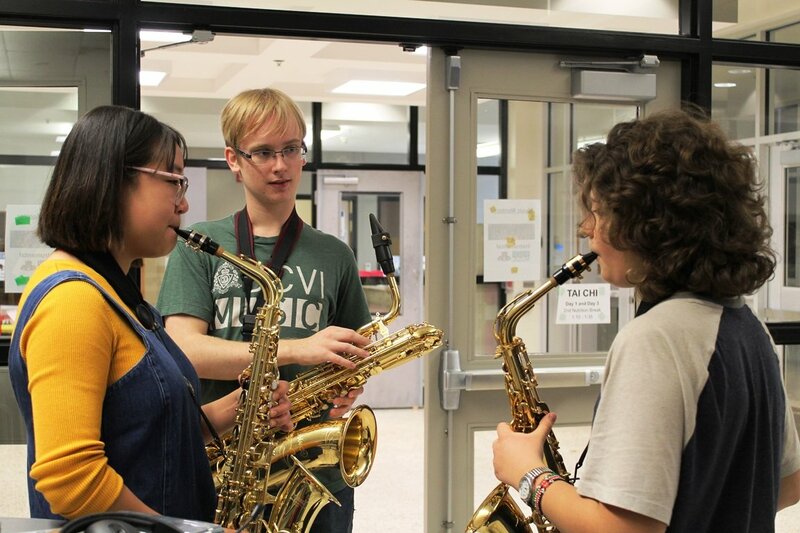 The program saw great success on its first day and will move forward with more rehearsals at each partner school. 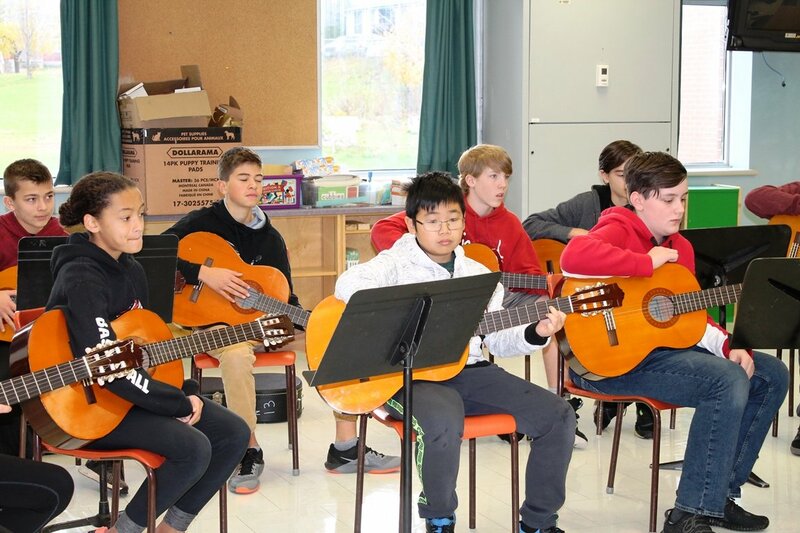 The GCVI students and the elementary students in the program will join the stage together when GCVI Music goes on its annual Christmas tour. Elementary students will also hit the stage with GCVI at the GCVI holiday concert. GCVI would like to thank the UGDSB SHSM program and GCVI Student Success for funding this mentorship opportunity. Staff from multiple UGDSB sites worked together to make this project happen including, Anna Armstrong, Dan Austin, Karen Johnson, Mary Leach, Lane Osborne and Kelly Stronach.